Place first 4 ingredients in a large bowl; beat with a mixer at medium speed 2 minutes or until smooth and creamy. Add dates, shallots, lemon rind, salt, and pepper; beat at medium speed until well blended, scraping sides of bowl as necessary. Spoon cheese mixture onto a large sheet of plastic wrap. Form into a ball, using a rubber spatula. Wrap cheese ball in plastic wrap; chill overnight. Combine parsley and walnuts in a shallow dish. 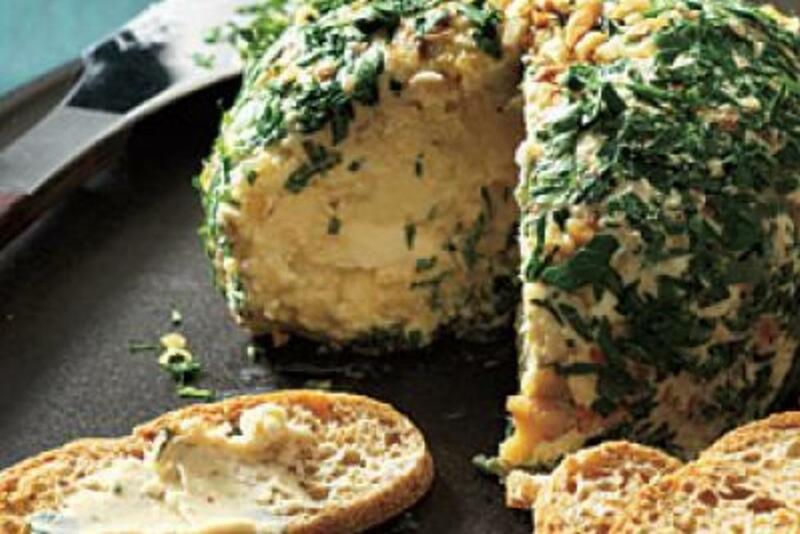 Unwrap cheese ball; gently roll in nut mixture, coating well. Place on a serving plate. Serve immediately, or cover and refrigerate until ready to serve.